"I want to believe that the day is approaching when these rooms will be filled again with the laughter of happy students," he said in a speech, saying the seminary's reopening would send a "message of friendship, understanding and brotherhood". 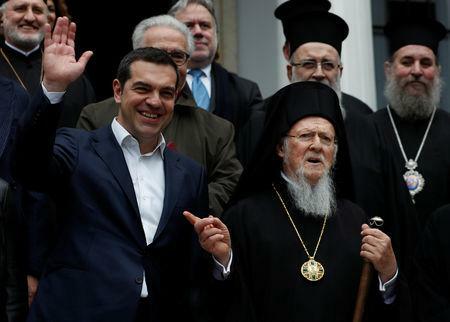 "There are issues between our governments and our countries which only dialogue can resolve," he said, flanked by Ecumenical Patriarch Bartholomew, the spiritual head of Orthodox Christians worldwide and who is based in Istanbul. 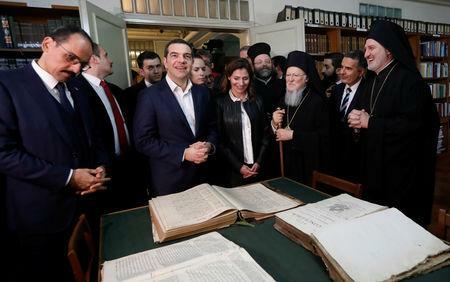 Erdogan spokesman Ibrahim Kalin joined Tsipras on Wednesday in Istanbul on a tour of Hagia Sophia, which was the foremost cathedral in Christendom for 900 years and then - after the city fell to the Ottoman Turks in 1453 - one of Islam's greatest mosques for another 500 years. It has been a museum since 1935. 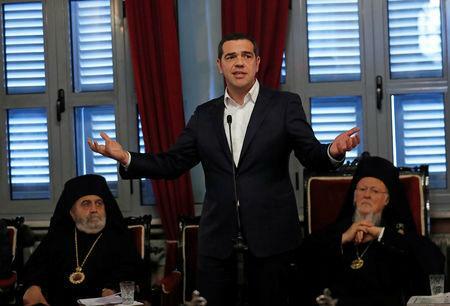 Erdogan complained about discrimination against Muslims in northern Greece, while Turkey's military presence in ethnically split Cyprus and diverging interpretations of an international treaty defining their borders also fueled tensions. On Tuesday, Turkey updated a list of former military officers wanted for their alleged role in the 2016 putsch to include the eight officers granted asylum in Greece, and offered a bounty of 4 million Turkish lira ($770,000) for each of them.